For many individuals and families in America and across the world, food waste is a common issue. However, as big of a problem as this waste represents, it may not have even been on your radar until today. Millions of people across the United States try to do their part towards keeping the Earth clean and safe by recycling, reusing certain items and reducing their use of others. However, there are other great ways to start making a positive change, which can even provide a valuable resource for you to use. In this way, composting can be an excellent and rewarding activity for Americans from all walks of life. There can be a lot of misconceptions around the practice, so it is very important to learn about the ins and outs of this hands-on activity. This article will help you to identify your needs for making a compost pile, and how having one can be a good idea. By far the best way to decide if a compost pile is right for you is to learn more about what they are in the first place! When many people prepare and eat food at home, a fair amount of the products that we use are wasted for one reason or another. Whether it involves apple cores, egg shells or used ground coffee beans, a lot of the elements of our daily meals will end up in the garbage and will eventually be sent to landfills. With composting, you can use these waste materials to create a useful type of soil. Uneaten fruit and vegetable bits. Other organic food remains, such as egg shells, nut shells and coffee beans. Plant matter, such as leaves, dead houseplants, twigs and mown grass. Certain other natural, carbon-based materials, such as wood ashes, paper, cardboard and even hair. These common household items can be put into a special container and tended to on a regular basis in order to create a nutrient-rich soil. However, certain items should be left out of compost piles at all costs in order to avoid attracting pests, causing nasty smells or damaging the nutritional content of the soil. This includes meat and dairy products, diseased plants, plastics or metals, charcoal, pet waste and similar materials. Adding these items into your compost bin can prevent you from keeping your home clean. Who is best suited for making a compost pile? You have the time to put into maintaining it. Composting is convenient in that you can mostly let natural micro-organisms and worms do all of the work for you in breaking down materials. However, you should plan on regularly mixing and watering your compost for maximum effectiveness. You have a plan for how to use it. While it may seem obvious, you will need a good reason to start composting! If you do not have a lawn, garden or houseplants, making compost might not make sense from a practical standpoint. You live in a place that is conducive to it. Resourceful gardeners can make compost from anywhere, but you must be aware of your limitations. Making it in the yard of a house might be easier than making it at an apartment complex, and you may be required to use special containment equipment depending on how close your quarters are with your neighbors. You don’t mind getting your hands dirty. 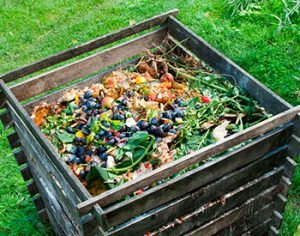 Although composting does not have to be the smelly process that many people imagine if done properly, you are still dealing with decomposing food and plant matter. Using compost can be an excellent tool for your lawn or garden, but be prepared if the components of your mix do not fully break down before you want to use it. Gardening reasons. Undoubtedly, compost is packed with far more nutrients than normal soil. Thus, using it in your gardens or across your lawn can help your plants to grow faster and stronger than before. Economic reasons. Buying mulch or fertilizer can be expensive, so making your own with a simple container and time can be a very cost-effective way to garden. Environmental reasons. Not only does composting help the health of your plants, but it also cuts back on the amount of trash that is going from your home to the landfill. Additionally, composting can be one of the easiest parts of your week, with very little maintenance required in order to create black, crumbly and nutrient-packed soil. There are many ways to compost, depending on what resources you have available to you, where you live and other factors. However, the basics of composting should always remain the same, and can be made easier by following the right steps. One popular way of composting is to build your own container for it to sit in. While you can certainly buy fancy containers online that have different mixing and irrigation features, a much cheaper solution might be to create your own bin out of wooden pallets or a modified trash can. No matter where you keep your compost, it is important to remember that it is an active process that requires access to the open air, water, the right fuel and insects to work it into soil. If your compost is hot or warm to the touch, it is likely not quite finished with being transformed. Micro-organisms and earthworms take time to eat through your materials and turn them into compost, and using compost that is not totally finished can result in your plants being negatively affected by those organisms. If there are flies or other more annoying insects around your compost bin, it might be a good idea to mix any exposed food scraps deeper into your compost pile. After a few weeks to a few months, you will have completed compost, which is an excellent tool for anyone who wants to help their plants grow.